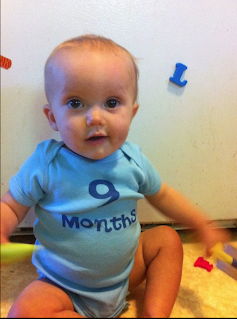 Super Savvy Mommy: Oliver is 9 Months Old Already!! Oliver is 9 Months Old Already!! 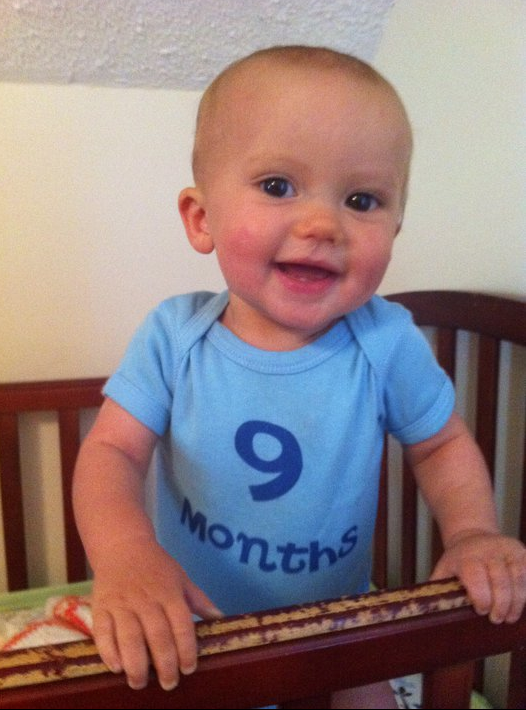 9 months ago I gave birth to a special little man. He sure was tenacious and still remains that way today. I love his new little teeth that he just got and how he says Mama and Dada with ease. He is crawling ferociously all around the house and he is quite content playing by himself. He loves pasta, crackers and naps but he isn't a huge fan of taking a bottle. He also is a little fish just like his big brother. Each day keeps getting better and better!